What’s more fun the shopping for a fabulous pair of shoes? How about turning your embroidery machine into the cobbler with these clever sweet feet designs! From baby steps to stilettos, pirouettes to figure eights, then kicking up your heels in our original holiday favorites, Volume 1 features six styles in two sizes (4×4 and 5×7) each. Made in-the-hoop for both left and right feet these shoes are adorable in fabric prints, cork, or our applique glitter sheets. 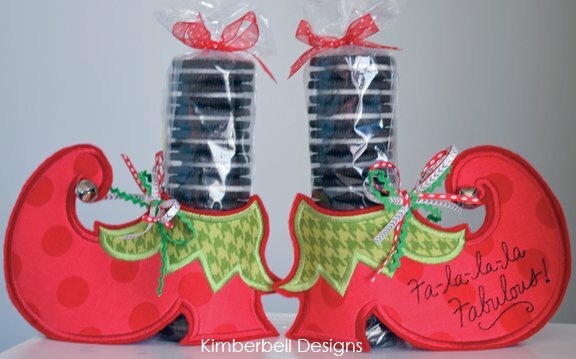 Just add a sleeve of cookies, lip gloss or other treat for the stockings and heels.